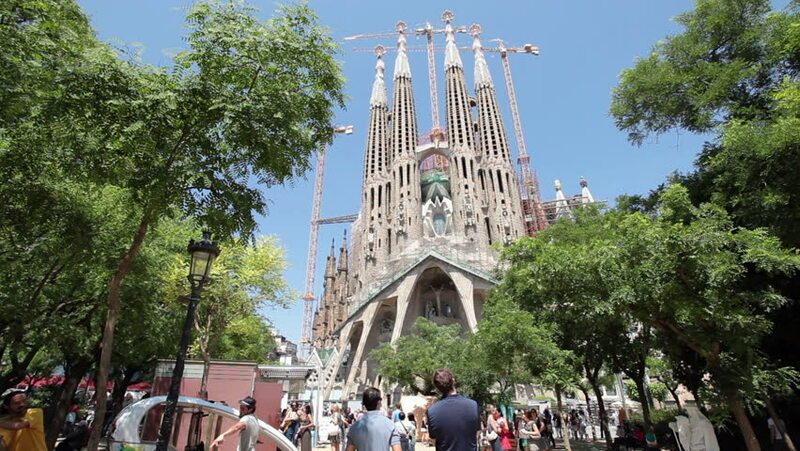 BARCELONA, SPAIN - MAY 21 2011: Cathedral Sagrada Familia famous church and landmark with tourists and locals in city park in Barcelona, Spain on May 21, 2011.
hd00:19BARCELONA, SPAIN - MAY 22 2011 (Timelapse): Cathedral Sagrada Familia famous church and landmark with tourists and locals in city park in Barcelona, Spain on May 22, 2011. Fast motion timelapse. 4k00:09Cordoba, spain. circa May 2018. Tourists visiting Patio de los naranjos, a orange tree garden next to the Mosque-Cathedral. Torre del campanario (Bell tower) in the background. hd00:09KRASNODAR, RUSSIA-AUGUST 23, 2016: Monument of holy GreatMartyress Catherine.